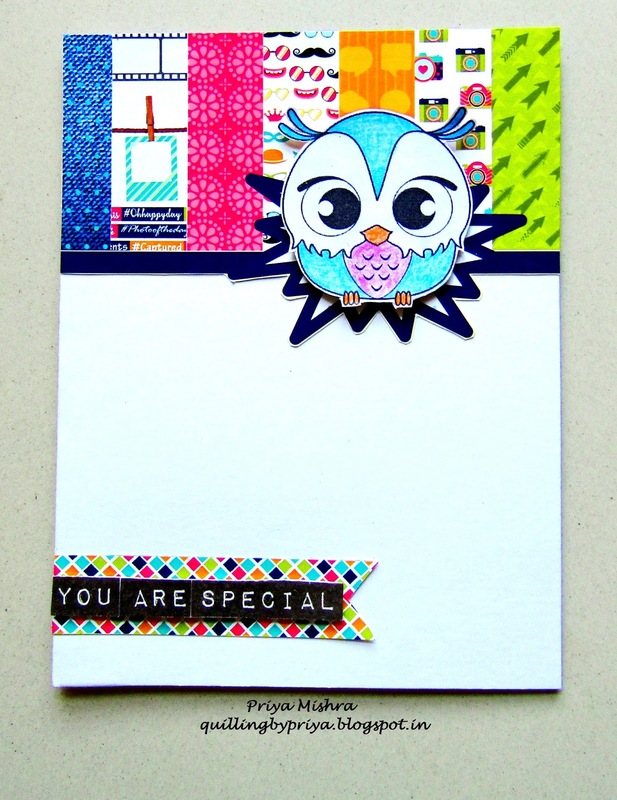 As the first in Top 3 at C.R.A.F.T Challenge -453, I got the opportunity to guest Design for this Challenge # 459 and the theme for the challenge is "Animals". I'm thankful to Jo and Team C.R.A.F.T for liking my project. 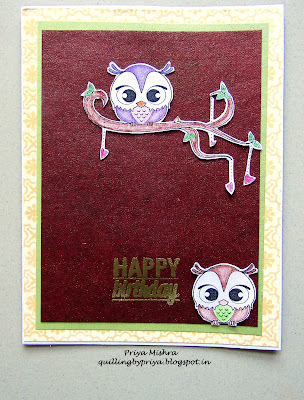 I made two cards using this wonderful "Owl always love you" digi and colored them using my Faber Castell color pencils. The sponsor for the challenge is Scrap n Dipity and the digid are from their store. 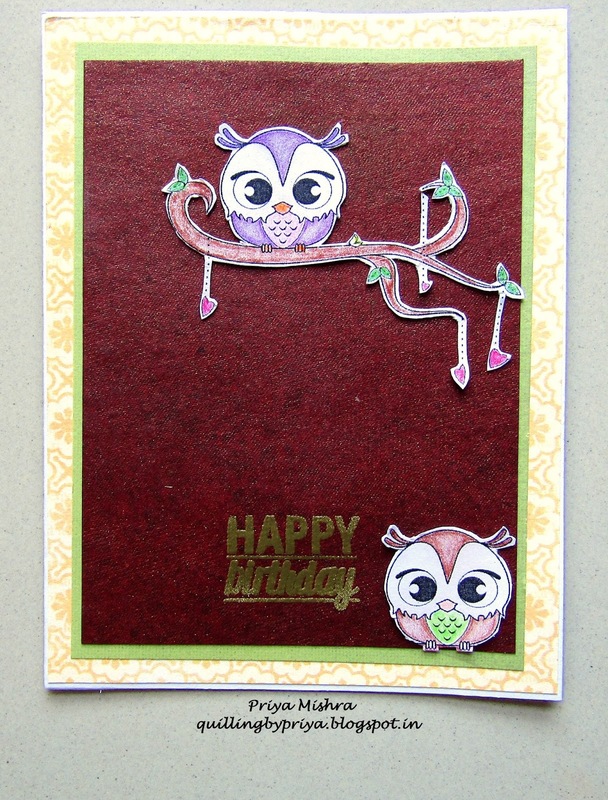 Do not forget to enter the challenge and chk out more awesome DT Creations.